I spent Sunday bumming around Tacoma with my pals Julie and Maritza. We brunched at a random small-town café complete with ogling locals and a candy dish, and then popped by the ever iconic Bob's Java Jive, a tea kettle dive bar. 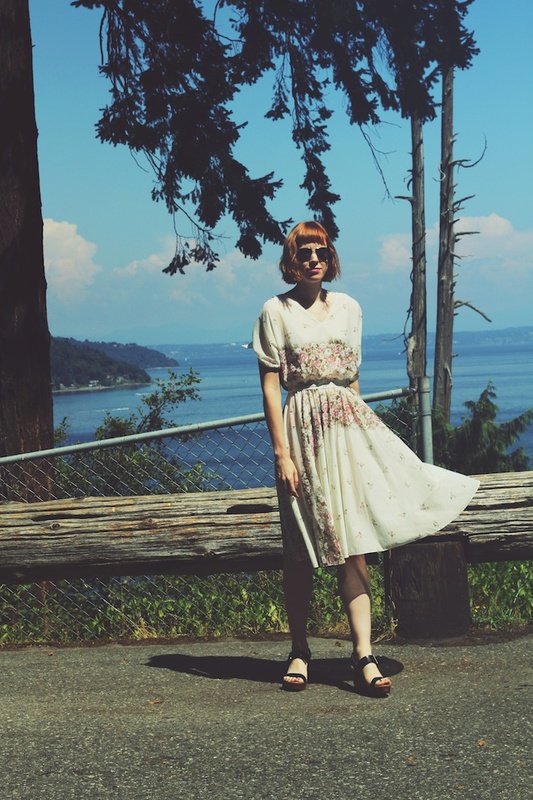 Next, we put on pretty vintage dresses and took photos by an overlook at Point Definace Park. And after another costume change, we unsuccessfully chased a lost dog down the main drag and hit up an underwhelming thrift store. I'm thinking we may have missed out on some of the culinary gems and indie boutiques hidden around town, which means I definitely need to go back again.